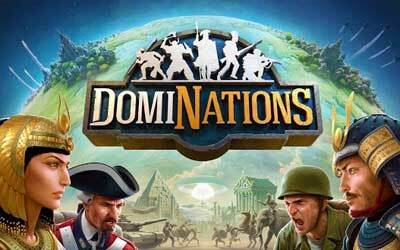 DomiNations APK has new version 6.600.600 so if you want to download it you can get it easily. Even though it has only been recently made its way to Google Play and several App Stores, this game has been around in Canadian App Stores thanks to its early release. Because of that, plenty of people has managed to get their hands of the game and can give some insights about the game to those who wish to play it. The game is pretty addictive for most part, with many people find themselves engrossed with the game for days and months. Basically, it is a game where you can build your own empire and upgrade it so you can go to war and fight. You can also use your troops to hunt animals such as bear and can do a little something within each gaming session. For a mobile device game, this one is pretty addictive. That being said, this game is a game which can be enjoyed by many people, gamers and non-gamers alike. At the heart of the game, it looks like another attempt to recreate the formula of Clash of Clans. While there is nothing wrong with that since conventions are basically conventions because they are so repetitively used in a pertaining genre, but some games that try to include the same formula over and over again can easily come across as boring and probably plain to several players. Nonetheless, a good game can pull conventions just fine without having to make it uninteresting, and you can say that DomiNations is a pretty good game. Playing DomiNations is all about wise decision-making. You need to select your actions carefully in order to move the progress of the game. You would always find something to do in this game and that’s what makes it pretty interesting and engrossing. For those who love online, strategy RPG for mobile platform, this game is totally recommended! The Cold War! v6.0 update of DomiNations has been released! Advance your civilization to the next age of history to acquire new troop and building upgrades! All New Assault Vehicle can now be trained at the barracks! The MRL can now be trained at the factory! Everything is great with the historical aspect. Crowns are easy to come by even if not paying.